Got bracelet? Got Beading Divas bracelets to benefit Cherished Tails? For the month of November, Beading Divas to the Rescue is fundraising for Cherished Tails Senior Sanctuary in Marana. And speaking of seniors — November is National Adopt a Senior Pet Month so you may as well adopt a bracelet or three to help a senior dog or cat. This hand-crafted one-of-a-kind beaded bracelet is called Phantom. There’s nothing woo-woo about the cost — $20/no tax. It’s available online via Etsy. Shipping cost not included and postage is based on destination. Cherished Tails receives $18 for every bracelet sold online. Remember these bracelets are one-of-a-kind and if you snooze you lose or so they say. All the bracelets come with a dangling paw charm to commemorate our mission. 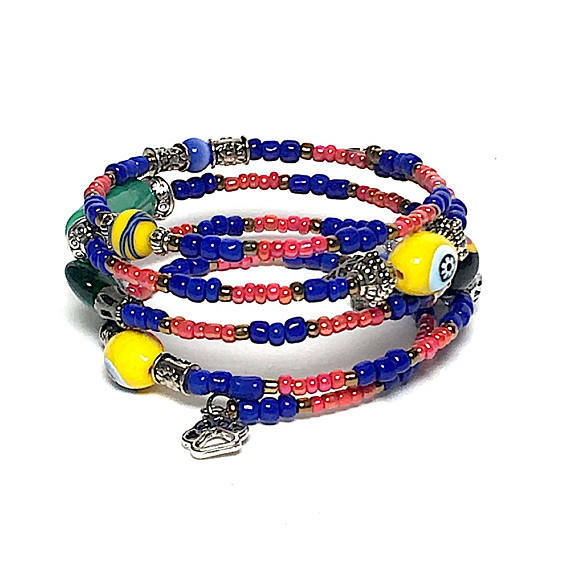 From the Feedback File: “Beautiful bracelet for a beautiful cause. Thank you!” ~ Frau D.